With the winter season arriving shortly I thought it would be an excellent idea to review the dangers of winter weather to our skin and feet! With winter comes a drastic change in weather. It is cold and icy and this combination poses threats to all age groups! We have to take precautions even if we are just walking out side, or participating in winter sports, or shoveling the snow. Any activity that takes place outside requires each person to take extra precautions to prevent irreversible ailments that can occur do to low temperatures and dangerous, unstable conditions. Remember that when participating in all winter activities, it important to have the proper protection for your feet. 1. Insulated, waterproof boots or shoes that are sturdy and offer good ankle support and a pair of thick acrylic socks help to wick" away moisture. 2. When participating in outdoor sports that require running use spikes slipped over your running shoes if you will be running on ice for an extended period of time. 3. A custom orthotic in your running shoe and snow boots is imperative to help you maintain the proper position and prevent injury. 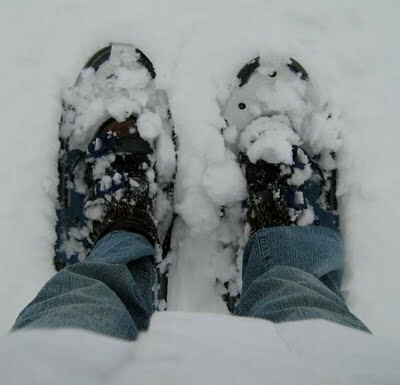 Furthermore, if your feet are exposed to wet snow or cold for an extended period of time, get back inside quickly. 4. Always be aware of the dangers of frostbite - a serious, painful condition that can result in loss of your toes. All doctors and emergency rooms can tell you that with the icy conditions frostbite as well as breaks, strains and tendon tears become much more likely to occur. Make sure you do everything you can to prevent these ailments! And if you think you may have injured yourself see your doctor right away. Delay in your care can prevent full recovery down the road.